The twenty-first century's equivalent of "drunk for a penny, dead drunk for tuppence"? 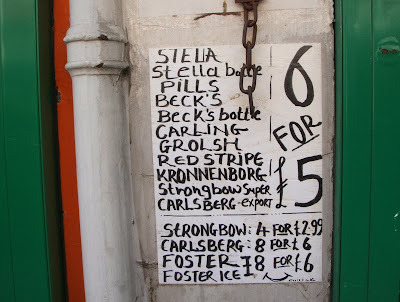 I've lived in London for fourteen years and the "six for a fiver" deal has been ubiquitous for all of that time, defying inflation and anti-booze campaigners alike. Perhaps Hogarth had it right, after all.